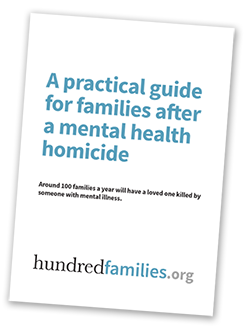 The Care Quality Commission’s deaths review out today makes for shocking, depressing, and, unfortunately for many families bereaved by mental health homicides, all too familiar reading. For our families’ experience exactly mirrors many of the findings of the CQC review. Families and carers often have a poor experience of NHS investigations and are not consistently treated with respect, sensitivity and honesty. Many carers and families do not experience the NHS to be open and transparent. Families and carers are frequently not listened to. In some cases family and carer involvement is tokenistic … despite many trusts stating that they value family involvement. The NHS underestimates the role that families and carers can play. Following NHS investigations, there are no consistent systems in place to make sure recommendations are acted on or learning is being shared with others who could support the improvements needed. Learning from deaths is not being given enough consideration in the NHS and opportunities to improve care for future patients are being missed. After more than 20 years of inquiries and investigations into patient homicides, we’ve seen the same failings in basic mental health care repeated time and time again. And there’s been very little evidence that anything has improved at all. We’ve met some arrogant professionals who believe they are caring and considerate, but whose actions betray a complete disregard for legitimate concerns raised by bereaved families. We suggest professionals do not always know best – they need to work together with families to ensure they are not missing key information, so that care is the safest it can possibly be. Our experience is that the repeated failure to learn lessons is costing innocent people’s lives – many of whom are children, or elderly, or particularly vulnerable. These avoidable deaths blight families, neighbourhoods and communities for years. 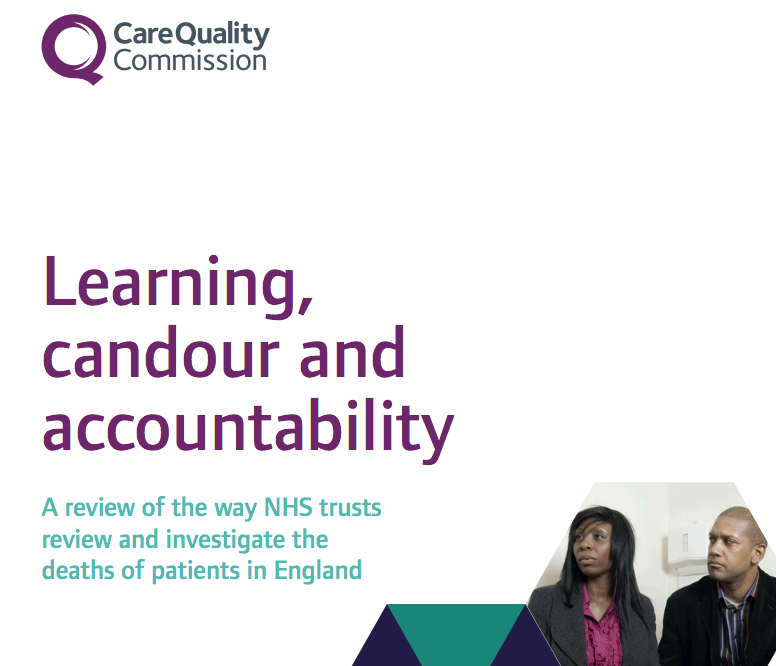 We were privileged to be part of the Expert Advisory Group to this review and are committed to working at all levels of the NHS to help embed learning, improve listening to families and try to prevent further avoidable deaths in future. We are not holding our breath, but we sincerely hope this review will make a difference, and that for once, real change will come. ← Previous Previous post: Do they count? Actions speak louder than words though – lets wait and see.